Add one more piece of evidence to all of those rumors about an impending launch of a Facebook virtual currency at the upcoming f8 conference in late April. 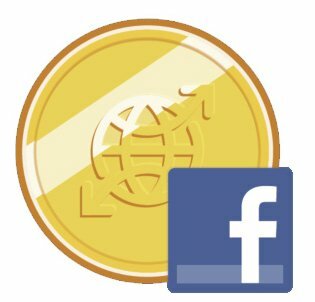 Facebook recently applied for a trademark for its virtual currency platform, which is aptly named Facebook Credits. 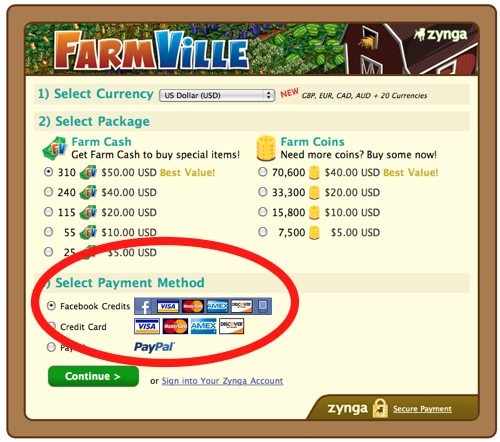 Included in the application is a drawing of the new Facebook payment platform logo (embedded above, although it could still change). It is a gold coin with a stylized globe in the middle and two arrows flying out of the globe perhaps symbolizing the free flow of virtual cash. A blue square with a small “f” is placed over the bottom right part of the coin. The other noteworthy things about the trademark application are the description given to the payment system and the fact that the assigned USPTO trademark officer thinks it needs some adjustment before the mark can be granted to the company (more info on that). Financial exchange services, namely, providing a virtual currency for use by members of an online community via computer and communication networks; facilitating the exchange and sale of services and products of third parties via computer and communication networks; incentive award programs; telecommunications services, namely electronic transmission of data, messages and information; entertainment services, namely facilitating interactive and multiplayer and single player game services for games played via computer or communication networks. This description of the service, perhaps unsurprisingly, leaves the door open for Facebook Credits to become much more than merely a virtual currency that can be used for purchasing or exchanging virtual goods on the social network, in the sense that it also encompasses “facilitating the exchange and sale of services and products of third parties via computer and communication networks.” In other words, any Internet commerce, linking Facebook to the consumption of a wide variety of consumer-oriented products and services. Obviously, Facebook Connect could play an important role in that story as a way to authenticate users on third-party ecommerce sites. See for example the apparent partnership Facebook and Eventbrite are putting in place for the monetization of events. On-topic: Facebook recently announced a partnership with PayPal, broadening the number of options people have to purchase Facebook Credits using the latter’s online payments system (PayPal has some 81 million users worldwide, while Facebook recently claimed over 400 million). According to Facebook, its platform now boasts more than 500,000 applications. Notably, the company also recently announced that it may soon start allowing developers to store end user data for more than 24 hours. Facebook is on track to pull in somewhere in between $1.1 and $2 billion in revenues in 2010 according to industry observers, and a roll-out of Facebook Credits might just make it end up at the high end of that estimate as it opens up a number of potentially very lucrative revenue streams for the company. Facebook recently announced that it would be taking a 30% cut on currency spent by users, leaving 70% for developers. Facebook Credits kicked off in alpha mode in May 2009 and has been in closed beta for a good number of months, granting a select few developers like Zynga, Playdom, Playfish and RockYou access to the program in anticipation of a more extensive roll-out. I daresay we’ll hear more about the company’s quest to put its stake in the ground and attempt to become the Web’s default virtual currency at f8.